The province of Malaga has events and activities that you can enjoy any day or weekend throughout the year. We usually include organized events. If you like the outdoors you can take a look at our category on routes and excursions. From organic markets in Malaga or flea markets the next weekend. Not forgetting popular fairs and festivities, concerts or live shows. Follow us to keep up to date and join interesting activities on Fridays, Saturdays and Sundays. 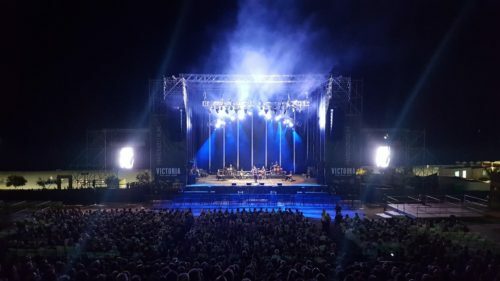 Throughout the year and especially during the summer and adjacent months, Malaga organizes a multitude of events and live shows that you can assist. If you like music and beach you can’t miss the Weekend Beach Festival in Torre del Mar, several days of music with numerous artists and even with a camping area. There are others like the Alamos Beach Festival that are also quite popular. Every year there are concerts in Sohail Castle of Fuengirola or its surroundings. It is a long-awaited event with world-class guest artists. Malaga is a province with a lot of culture, a past that has had a significant influence on the development of its villages. Throughout the year you will be able to enjoy popular fiestas in the towns of Málaga. It is advisable to know in advance which ones you could visit. A highly recommended event during the month of September is the Luna Mora festival in Guaro. Other events that you can’t miss could be Easter or the August Fair in Malaga, a fair with its own personality and in which you will not only have fun but where you can enjoy a rich local cuisine. The Carnival in Malaga or Halloween are celebrated in a very special way. A multitude of events and activities for all audiences, and we will inform you about everything in our blog. People’s Fair in Fuengirola enjoys a high level of popularity every year. A place where you can not only get to know the culture and taste the local gastronomy, but also from many countries. The Andalucia Day on the 28th of February is always full of activities and cultural events in Malaga. Are you interested in finding out more about this day and the different events taking place in the province? From a souk in the at Pier One, to traditional dances and Andalusian products in Torremolinos or a gastronomic event in Manilva. We are sure that some of the activities that take place this day will be of your interest.